Albert Gallatin Ricketts aka Gallie Ricketts had a younger 14 year old brother who insisted on going with him to serve. 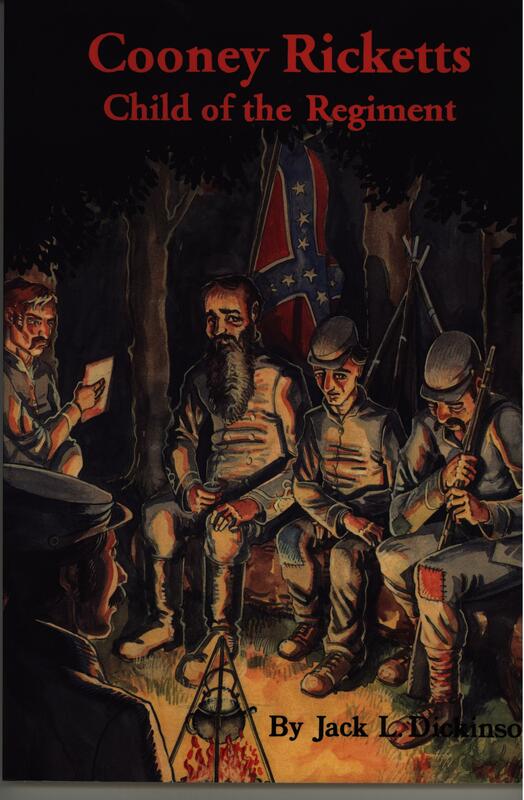 The problem was that the Confederate Army could not enlist minors. After the two got to Walker’s Ford, Albert was mortally wounded on December 2, 1862 while serving with Company E, 8th Virginia Cavalry. He was taken to the cabin of John Cabbage [January 25, 1824 - September 5, 1898] where he spent the night and died the next day, December 3, 1862. John Cabbage allowed the burial of Albert Gallatin in his private cemetery. He was interred in the Cabbage cemetery until after the end of the Civil War and at an unknown time his body was relocated to Spring Hill Cemetery in his hometown, Guyandotte (now Huntington), West Virginia. This information comes from the diary of James Sedinger who served with Albert Gallatin in Company E, 8th Virginia Cavalry near Walker’s Ford. "Albert Gallatin Ricketts was mortally wounded by a single bullet while on his horse. He was carried to a saddle-bag house owned by Lucy and John Cabbage. After his death, Mr. Cabbage allowed his burial in his own private burying ground on top of a ridge in East Tennessee." On October 9, 2018, I had the pleasure of introducing Jay Ricketts, a cousin to Cooney and Gallie Ricketts, to John Cabage, great grandson of the John Cabbage who befriended Albert Gallatin Ricketts. Jay Ricketts was able to walk in the footsteps of his cousin, Albert Gallatin Ricketts. Even though Lucy and John Cabbage befriended Albert and tried to save his life, nonetheless he died. Mary Ann and John graciously received us and John walked Cabbage Cemetery with Jay and answered his many questions about his cousin. Many years later Albert was taken and re-interred in Springhill Cemetery in Cabell County, West Virginia, the home county. A local Confederate organization assisted in the location of the grave of Albert Gallatin Jenkins (Gallie's uncle) and arranged the disinterment of Jenkins who was killed at the Battle of Cloyd’s Mountain in Virginia. He was re-interred in Spring Hill Cemetery in Huntington where Albert Gallatin Ricketts is buried. Jay had come from Atlanta to see the area and the location of Walker’s Ford, which is now under the waters of Norris Lake, so he could learn more about the family that befriended Albert “Gallie” after he was shot during the Battle of Walker’s Ford. 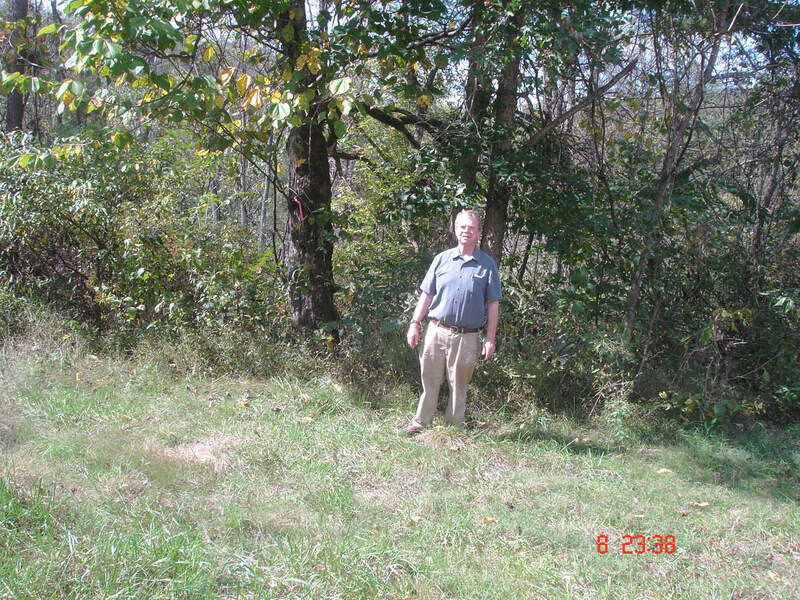 He also found and photographed the foundation of Lucy and John Cabbage’s log home near Cabbage Cemetery and along side Cabbage Cemetery Road. Probably, Albert Gallatin Ricketts would have been located and re-buried after 1893. More research will tell us when the re-burial at Spring Hill Cemetery took place, and we do hope to learn when this re-burial took place. A book about Albert’s younger brother, Lucien Cincinatius “Cooney” Ricketts, has now been published. Cooney Ricketts, Child of the Regiment, is by Jack L. Dickinson. With more research and some luck, just maybe a book memorializing Gallie may be written, and Gallie’s story can also be in print.